I have dated outside of my race my family was fine with it but when I brought him home I could tell they would have preferred if he were black. The next guy I brought home was black and white, he was more accepted, except by my racist aunt who stopped liking me after that. My husband is black and it's very funny how much more comfortable everybody is with him than with the other guys I brought home (and now my racist aunt likes me again). My only preference with guys was that they treat me right but my family preferred a black man that treated me right. 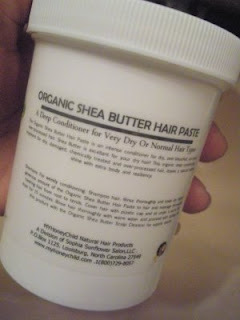 sorry it didn't work out for you.As much as I love shea butter, it never works for my hair. In regards to interracial dating, I have several times and actually i don't necessarily want to be with a black man. I want a good man and as long as he treats me well, supports me etc, whether he's black, white latino asian has no significance to me. of course we might have cultural differences but i see them more as a way of enriching our lives with new perspectives. when i watched something new or even another movie with Bernie MAC, Ashton Krutcher, i forgot the title, at the beginning it was hard for me to understand the problem with interracial dating because people do it all the time in Senegal and Ghana. wow that is a lot! i do have a racial preference. i prefer just regular black (like me) and preferably an idris elba complexion. i wont go as far as to say no to a particular race, b/c that doesnt define a person. i just know what i typically find visually appealing. does that makes sense? some are fine, some look like a foot...some are great people and some are as*holes. 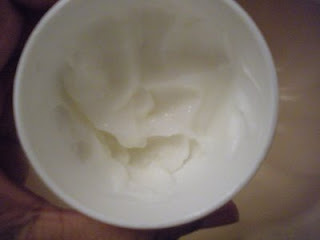 thanks for the review, i was really about to but that, i need super moisture because i'm natural. TM Your aunt probably had her own vesion of who she wanted for you so maybe that prompted her behavior. I'm glad that everything is well between you two now :-). Amina thanks for sharing your experience. Different backgrounds can certainly help to bring different perspectives to the table. I know the movie you are talking about, I think it was called Guess Who....I think that was the title. Antithesis that makes complete sense, I know exactly what you mean. Sidenote- i heard Irdis is up for the role of the new James bond (the first black one) could just be a rumour though. Anonymous yes she was pretty out there with her comments. I have a feeling her comments were toned down for tv I think she had more to say. yes, it is guess who!! Wow that product looks heavenly. I bought some shea butter oil not too long ago and my hair has not looked back since. The stuff is amazing!